Our team is our strength, we are team of professionals who know their job well – Committed and devoted. 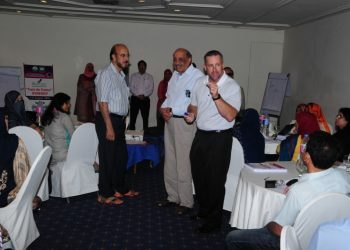 Know more about our upcoming events and seminars – we build strategies and systems. 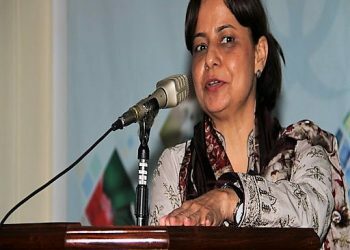 Pakistan has entered an era of increased scientific research with advancements in biological research. Work with infectious agents in public and private research sectors, diagnostic laboratories and animal care and research facilities has expanded many folds. Fresh infectious agents with epidemic potentials are rapidly emerging globally. For these reasons, it becomes increasingly important that a national body is formulated that would guide the institution/organizations and individual laboratory directors on issues such as biological risk assessment, the capability of equipment facilities and use of personal protection gears. Application of this knowledge and use of appropriate techniques and equipment will enable the microbiological and bio-medical community to prevent personal, laboratory and environmental exposure to potentially infectious agents or biohazards. 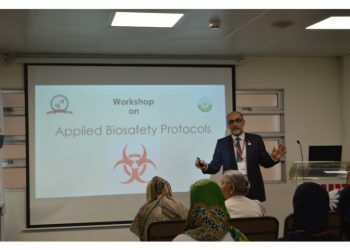 The basic concept behind the idea is to promote biosafety as a scientific discipline and serve the initial and growing needs of biosafety in Pakistan where it is still in its infancy. 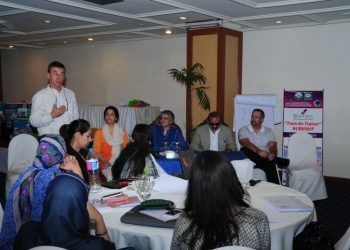 In view of the above needs, Pakistan Biological Safety Association was announced on March 29, 2008. 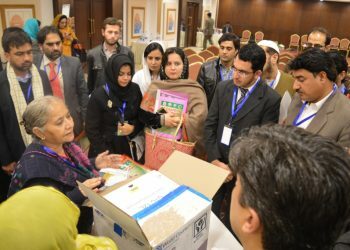 The Pakistan Biological Safety Association is a non-profit, non-governmental professional organization dedicated to the provision of comprehensive knowledge related to Biosafety issues in Pakistan. Our TeamEach and every one of our members and employees represent the spirit of our organization; driven, committed, and acutely aware of how PBSA's potential is to grow. We go to great lengths to identify self-starters with diverse experience and skill sets to produce not just an effective workforce, but a well-rounded, talented and complementary team. PBSA is a national treasure for those serving on the front-lines against infectious diseases in Pakistan. 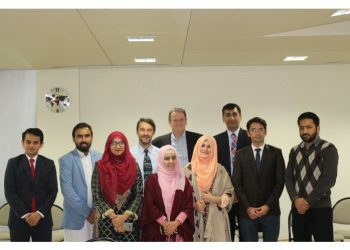 With access to multiple human resources – they house the capacity to serve research and clinical laboratorians – along with nurses and doctors who battle against emerging infectious diseases – making both them and Pakistan a safer place to live. PBSA’s leadership and commitment to a safer world along with the mission of service to those fighting infectious disease threats is commendable. Already a Life Member of PBSA – I believe if you live in Pakistan and work with infectious diseases – it is your professional responsibility to join PBSA in their mission of making Pakistan a safer state of all – INSHALLAH. 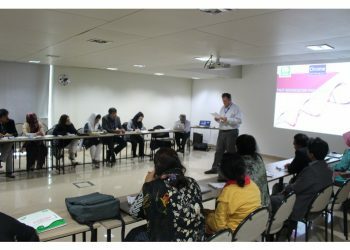 Since my first contacts with the Pakistan Biological Safety Association in 2011 – working at that time at the design of a BSL3 facility I was invited to provide a training workshop at their first international biosafety conference –, I have been literally impressed by the dedication of the team that manages the association and by the eager to learn and do things better demonstrated by its members. Since then and through the numerous training workshops organised my first impression has never been denied. 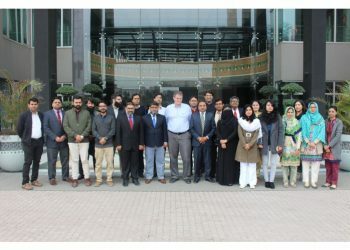 PBSA has not stopped developing, increasing the level of awareness on biological risks and the competences in biological risk control and management in Pakistan. This has been possible thanks to the “old guard” and their constant will to engage new, young forces together with them in the association. 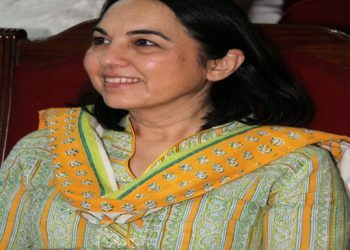 First mainly active in Karachi and the Sindh province, PBSA now tends to cover the whole country through a network of regional chapters, and is now working on its organisational and “business” model in order to become more autonomous and sustainable. There are other sources of best practices and lessons learned about enhancing the culture of biosafety, biosecurity, and responsible conduct in the international community as well. While it is beyond the scope of this undertaking to assess the activities of all states pertaining to a culture of biosafety, biosecurity, and responsible conduct in the life sciences, a number have made notable strides. 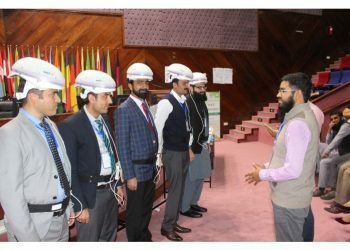 The Pakistan Biological Safety Association (PBSA), launched in 2008, is a nongovernmental professional organization that has undertaken “biosafety as a scientific discipline” and seeks to serve as a resource to Pakistan’s growing scientific community. The PBSA has joined with a number of national and international partners as well, including the IFBA, National Institutes of Health’s Fogarty International Center, International Council for the Life Sciences, XIBIOS (Belgium), and ASM. PBSA stands as an excellent example of professional organizations’ ability to prioritize a culture of biosafety, biosecurity, and responsible conduct, and its engagement with the concept can be used as a model for other professional organizations, state initiatives, and international partnerships to replicate. 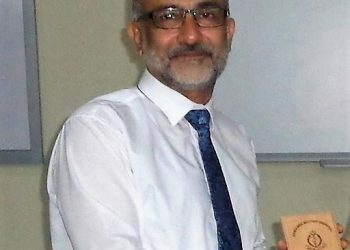 As IFBA Certified professional and RBP ABSA and founder member of Pakistan biological Safety Association (PBSA), I feel immense pleasure to see PBSA as a National organization committed to its aims and objectives with the help of its members, present and past leadership and never to forget the role of Dr. Anwar Nasim who played a pivotal role in laying the foundation of this organization from scratch in 2008 at COMSTECH. 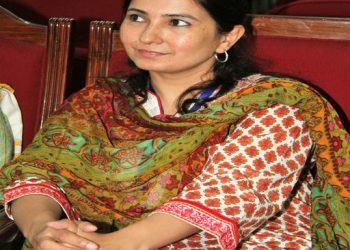 Pakistan Biological safety association in last few years has gone global, after acquiring the position as a country wide organization, keeping in view the period of its foundation which is 2008. 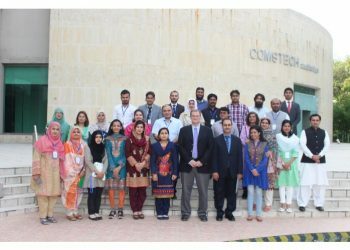 In addition it has developed affiliations and collaboration for different Biosafety promotion and development programs in line with International organizations to bring and recognize biosafety as separate scientific discipline within Pakistan. As a founder Member and 1st General Secretary and contemporary Member of Executive Council of PBSA, I feel proud that the landmarks and feats achieved by it in a short period, and also excited with its development and progress under the present talented leadership of PBSA. In near future PBSA can be seen as front-runner association of this region providing Biosafety & Biosecurity training and leadership along with its National and International affiliates and collaborators. 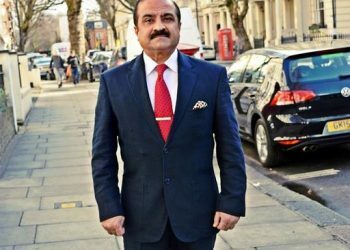 Pakistan Zindabad ! For registering as a member with Pakistan Biological Safety Association please download the form from the link below and follow the instruction provided in the membership form. Memberships are valid for one year from 1st January to 31st December except for the lifetime membership.